George Osborne wept copious tears at the funeral of a woman he barely knew. It might have been more appropriate to save the tears for the latest unemployment figures. They make grim reading for a Chancellor determined to stick to his austerity measures regardless of the consequences. Thatcher nostalgists would have felt the thrill of familiarity as the unemployed figure reached 2.56 million, the highest level since last July. Perhaps Osborne’s ambition is to emulate his heroine and push the jobless total over 3 million. For the Conservative-led coalition there may be the cynical political view that the unemployment figures do at least serve as a warning to the employed who are disgruntled at the lowest growth in pay rises since 2001. The average pay rise is down to one percent, well short of the rate of inflation. Osborne and his boss David Cameron are looking at a situation in which the UK’s economy is stagnating and everybody is telling them to change their approach. 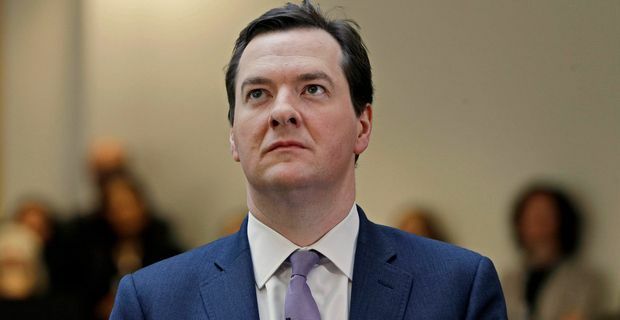 They might sneer at Labour leader Ed Miliband and Shadow Chancellor Ed Balls’s constant criticism of their rigid economic policy, but will find it harder to ridicule the IMF, which this week urged the Chancellor to modify the austerity measures and attempt to spark some growth. Thatcher used mass unemployment as an economic tactic, part of her "us and them" political approach. Osborne and Cameron cannot afford to be quite so ruthlessly divisive given that they have no electoral mandate and are only propped up by compliant Liberal Democrat coalition partners. The lack of growth is also causing discontent among their traditional supporters in small business. It’s hardly surprising that there was a note of envy in Cameron’s comments on Thatcher in the lead-up to her funeral. The current Prime Minister can only dream of being a PM who can dismantle the public sector, create mass unemployment, savage benefits and still win elections.